A fortune 500 organization with 4 locations in the Greater Toronto Area were looking to reduce overhead costs while maintaining productivity in their network. Leasing four 10 Mbps fibre links from a national teleco company, their 3-year contract was due to expire. Rather than renew their contract, the organization decided to find out what options were available to them. With 3 office locations and 1 warehouse the company required large bandwidth for their data applications as well as their VoIP system. 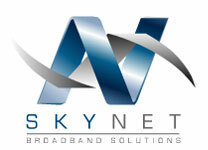 After an in-depth path profile of their locations and a site evaluation, SkyNet concluded that a wireless RF solution would not only provide more bandwidth to the client but would provide tremendous savings by eliminating 3 links. The solution would not only provide 18 Mbps true speed synchronous links but also show them an ROI in 12 months while eliminating their monthly recurring costs. With implementation concluding in only one week, the client was thrilled when the seamless installation netted what was promised – 18 Mbps synchronous links. With dynamic rotating encryption, security of the link was no concern. The 12 month ROI meant that the client not only had a faster connection but they were saving more than $70K/year with the elimination of their recurring costs.